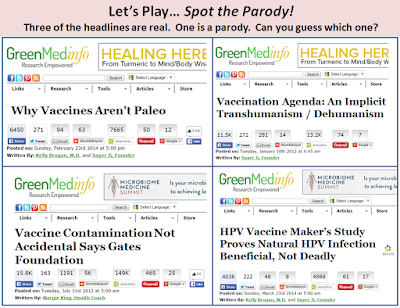 GreenMedInfo (GMI) is famous for being one of the crankiest anti-science websites on the Internet, rivaling NaturalNews for sheer quackery and conspiracy-theory-fuelled lunacy. The people behind it are firmly opposed to vaccines, GMOs and fluoride, but will uncritically promote any type of cancer woo they can find on the Internet. The Quack Miranda statement is probably the only accurate statement on the whole website. GMI was founded in 2008, purportedly to “provide the world an open access, evidence-based resource supporting natural and integrative modalities,” which is a de facto contradiction. GMI promptly chose to go with natural and integrative and quickly ditched the evidence part. The site is, however, frighteningly popular. Sayer Ji, the site’s founder, rejects “modern” medicine, which he refers to as “cannibalism” (more on that below), and has also declared that evidence-based medicine is “as reliable as a coin flip” – which, even if it were correct (it isn’t) would give way, way better prospects for recovery than the woo promoted on GMI. The coin-flip claim is presented in his article “‘Evidence-based medicine’: A coin’s flip of certainty,” which contains an impressively rich a collection of anti-science fallacies, strawmen and misunderstandings put into service for Ji’s preference for pre-scientific vitalism. Mostly, however, it’s concerned with the so-called “replication crisis”, which Ji takes to imply that “[t]he very life’s blood of ‘evidence-based’ medicine – peer-reviewed and published clinical research results – which legitimizes the entire infrastructure and superstructure upon which conventional medical knowledge and practice is erected, has been revealed as mostly and patently false,” which is false. But Ji runs with that conclusion precisely where you’d think he’d run: i) scientific evidence suggests for instance that vitamin C as a supplement has no general health benefits, ii) given the replication crisis scientific investigations cannot be trusted, so therefore iv) vitamin C supplements are like magic. Yes, it’s the fallacy fallacy on speed – altmed promoters seem to have a systematic problem with Ben Goldacre’s point that “flaws in aircraft design does not prove the existence of flying carpets”. Ultimately, though, Ji’s whole rant is nothing but an appeal to special pleading: Because his favorite woo doesn’t meet the standards of science, Ji wants different standards. You’ve seen that gambit before. He has also tried the “science-is-always-changing” gambit beloved by creationists, apparently oblivious to the fact that modifying one’s credences in the face of new evidence – i.e. having attitudes that are, you know, sensitive to evidence – is precisely what distinguishes science from dogma. Willful misunderstanding is also part of it in the case of Sayer Ji. - says something completely different than GMI thinks it says (in fact GMI even changes the titles of studies to reflect what they believe the study should have been called if it established what GMI, throught wishful thinking, thinks it established (which it didn’t) – and that seems to be the rule rather than the exception). - is entirely irrelevant to the alleged connection. - is small, demonstrably weak, or from very, very dubious sources. The document is dealt with in some detail here, and several of the studies cited are dealt with here. Among Ji’s own contributions to anti-vaxx lunacy is “The Vaccination Agenda: An Implicit Transhumanism/Dehumanism”, which starts by arguing that because we co-evolved with pathogens, living with pathogens is “natural”. So is death. And the fact that the relevant pathogens coevolved with us by evolving abilities to break through our systems is not something Ji even considers. Then he worries about “vaccine overload”, but his worry is – get this – that vaccines are exposing us to way too many antigens. No, seriously. Also aluminum. And toxins, toxins, toxins, of course. 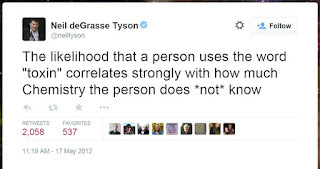 He also tries to argue that humans have “strayed from their mammalian roots by creating and promoting infant formula over breast milk and then promoting synthetic immunity via vaccines over the natural immunity conferred through breastfeeding,” apparently oblivious to the fact that breastfeeding hardly protected much against smallpox, measles or child mortality in the past. Oh, but he’s just getting started. For the grand climax, Ji will compare vaccination to transhumanism, which to him is a “movement which intends to improve upon and transcend our humanity, and has close affiliation with some aspects of eugenics.” How the …? At least “[t]he CDC’s immunization schedule reflects a callous lack of regard for the 3 billion years of evolution that brought us to our present, intact form, without elaborate technologies like vaccination – and likely only because we never had them at our disposal to inflict potentially catastrophic harm to ourselves.” Or, by extension: all medicine is bad because it prevents the natural outcome your illness would otherwise have led to. Just think about it (and then ask what Ji must think the goal of the advice he gives on his site might be). In the end, vaccines apparently makes us less human and – the most novel point yet – apparently unfairly disadvantages the non-vaccinated, who will not be immune to the diseases in question. And he is serious. You can’t make this stuff up. A similar style of reasoning can be found in “Biotech’s Dark Promise: Involuntary Cannibalism for All”, discussed here. According to the article, vaccines are a form of cannibalism (yeah, it’s the idiotic “aborted fetal tissue” gambit; and no, there are no fetal cells in vaccines); also, vaccines are unnatural (of course), and Ji is scared – and tries to scare you – with all the technical, artificial unnatural equipment and techniques used to develop vaccines: it’s all so science-based, technology-based and sterile – and … they fiddle with the genes of the bacteria! On the other hand, Ji is a fan of the Gerson therapy. How the Gerson therapy is more “natural” than vaccines is anyone’s guess, but at least it’s not evidence-based. Actually, it’s pretty clear why it’s more “natural”; “natural”, for Ji, is just a label marking his gut feeling approval – it doesn’t really mean anything. In “HPV Vaccine Maker’s Study Proves Natural HPV Infection Beneficial, Not Deadly,” Ji and Kelly Brogan tries to argue that “natural” HPV infection is better at preventing cervical cancer than the vaccine. Think for a moment about how hysterically idiotic that claim is. Does it come as a surprise to learn that the study they refer to does not say that at all? Or that even if that one small study did say what they claim – which it emphatically doesn’t – it would be largely irrelevant in the grand scheme of evidence? In “Study Calls Into Question Primary Justification for Vaccines” Ji reported a study he interpreted as saying that antibodies were often unnecessary to fighting off viruses; hence vaccines are bunk. The first author of the study did, to put it mildly, not agree with Ji’s interpretation of his results. The article was duly shared by Sherri Tenpenny, who promptly deleted comments quoting the first author’s response and banned those commenters. ‘cause that’s how she rolls. At least his ramblings has gotten Ji invited as a keynote at the quackfest Autism One. Which is not something to be proud of. Reasonable people are often surprised to learn of the existence of germ theory denialism, but it is a major strain of altmed thought. Ji is a germ theory denialist. 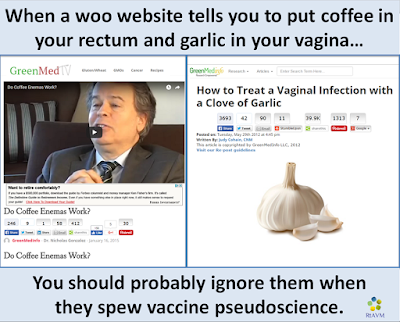 In “Measles and Mumps Are Good For You” (oh, yes) he promotes The Healing Power of Germs. After claiming that our fear of microorganisms is unfounded and stoked by the CDC through fears of antibiotic resistance, leading to the requirement for vaccines (which Ji has elsewhere established are superfluous and dangerous), he tries to argue that since lots of microorganisms are living in symbiosis with us and even necessary for us, they are natural, and therefore good. Disease, meanwhile, is apparently caused by imbalance of the humors (what Ji refers to as “toxins”, or lately “nano-particles”). “Germ theory has, in certain respects, taken on the characteristics of an infection itself. Not a physical one, but an ideological one, i.e. a meme,” claims Ji. And for the conspiracy: “health authorities like the CDC and the WHO [projects the view] that germs will be the end of us all,” which they … don’t, but according to Ji do in order to fool us into using “vaccines and drugs, or support global germ eradication campaigns”. 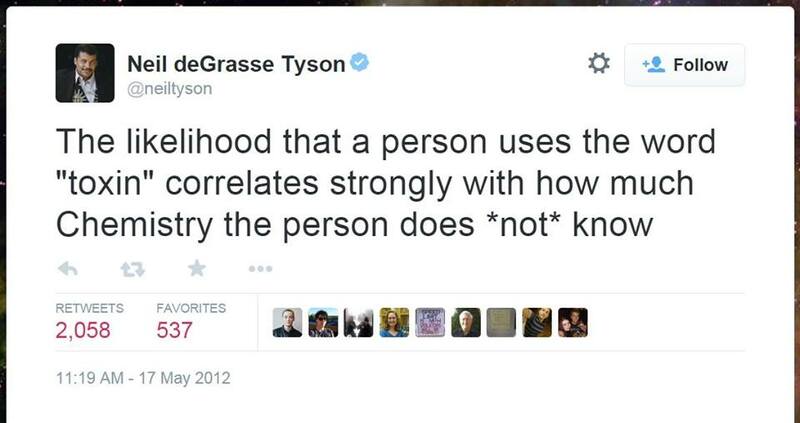 Oh, but he also cites studies, which he completely misinterprets. An article claiming that “a compound in ginger is 10000x more effective than Taxol” for breast cancer, which is silly, but apparently attractive to Ji since compounds in ginger are natural and scarily-named medicines are not. He does link to an Indian study, which does not make the claims Ji attributes to them at all (besides, didn’t he above just dismiss scientific studies as worthless in any case?). Nevertheless the article has been widely shared on social media, and there are stories indicating that people are currently dying because of it. An article called “GMO Insulin May Cause Type 1 Diabetes”, in which he tries to convince people not to take insulin. He also cites a study. That study does not even remotely say what Ji claims it says. You can probably figure out whether Ji’s efforts contribute to the health and well-being of his readers yourself. “Cabbage Beats Chemo for Cervical Cancer.” It doesn’t. Ji willfully misunderstood his sources. Gluten woo is a common ploy, but GMI takes it to a different level and has even claimed that eating wheat causes schizophrenia. It doesn’t. To understand where Ji is coming from, it’s worth pointing out that he is a genetics denialist, too. Like many other proponents of woo, a central principle for Ji’s approach to health is “you are in control; you can master your own health;” any idea that we are not in control is anathema (yes, it’s really The Secret all over). 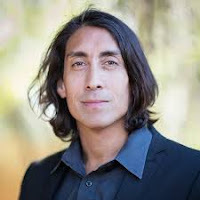 Accordingly, he denies that cancer, for instance, have a genetic component: “Choice, therefore, becomes central to determining disease risk,” says Ji; choice, and the mythical toxins – and cancer can be prevented, as always, with diet and natural lifestyle. And as usual, he misunderstands studies: “What we think we know about the BRCA (Breast Cancer Susceptibility Associated) genes causing cancer is patently false, according to a new meta-analysis on the extant literature on the subject of these gene variations on breast cancer survival prognosis.” The study he is referring to did of course not say that. And of course, Ji appeals to epigenetics, which he doesn’t understand but uses roughly the same way other crackpots use “quantum”, as a magical black-box operator that allows you to conclude anything from anything. Here is Ji on mammography, which is evil; according to Ji studies show that the “breast cancer industry’s holy grail (that mammography is the primary weapon in the war against breast cancer) has been disproved,” and that mammography “appears to have CREATED 1.3 million cases of breast cancer in the U.S. population that were not there.” The study he refers to does not suggest that. At all. Once again Sayer Ji willfully misunderstands a study and concludes that science doesn’t work; therefore he is justified in promoting whatever crackpottery he wants. GMI is vehemently anti-GMO, and as with every other topic, facts, accuracy and evidence don’t matter once Ji has decided what his conclusion is going to be. For instance in his article “New Study Links GMO Food To Leukemia”, he begins by summarizing the study in question (“Now, a new study published in the Journal of Hematology & Thromboembolic Diseases indicates that the biopesticides engineered into GM crops known as Bacillus Thuringensis (Bt) or Cry-toxins, may also contribute to blood abnormalities from anemia to hematological malignancies (blood cancers) such as leukemia”), proceeds to offer some scare-mongering about Bt toxins and exaggerates the most extreme conclusions of the study. Then he concludes that the study shows – as he already knew – that GMOs are evil and should be banned: “The reality is that we no longer have time to wait around for additional research to accumulate on the adverse health effects of GMOs, especially considering the biotech industry has far more capital to infuse into their own faux research on the topic […] In the meantime, you can join the growing movement to March Against Monsanto […] as a way of expressing your desire for real change, as well as vote with your forks, the only immediately effective tool we have against biological and environmental harms caused by the dominant GMO-based food system.” Of course, the study in question didn’t concern GMO toxins, but whole-bacteria toxins, which are used by organic farmers. Once again, it is a good example of the general format of GMI articles: Cite a genuine study (to sound intelligent), and then draw the conclusion you wanted to draw, regardless of whether the study is relevant to or even contradicts that conclusion. GMI is a tireless promoter of Big Pharma conspiracies, and a go-to place for the appeal to Monsanto gambit. 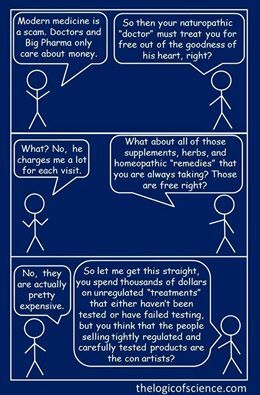 And of course: “[d]id you know that natural treatments for cancer have been known about and suppressed for over 50 years? Watch the groundreaking Truth About Cancer documentary free by registering here [I don’t link].” The “suppressed cancer cure” conspiracy is probably one of the most ridiculous conspiracy theories on record. (For the record, Ji calls his conspiracy theories “conspiracy factualities”). The documentary in question is discussed here. Ji himself claims that chemo “enriches” cancer stem cells. Whatever that might mean, it’s idiotic. Like so many other quacks, Ji has warned against contributing to ALSA because ALS isn’t that dangerous and you should spend your money buying supplements from charlatans instead (ALSA instead promotes science-based approaches). He has his own article, “60+ Natural ALS Cures the ‘Ice Washing’ Campaign Isn’t Funding!” (you remember the icebucket challenge, right?) The “60 ways” are covered in a “GreenMedInfo’s free ALS research PDF”, where he lists scientific papers he has cherry-picked and which – surprise – don’t say what Ji says they say. None of the papers actually contain the claim that ALS is curable, but then again: the scientists behind them don’t, as opposed to Ji, have products to sell you. Ji, of course, is fully aware that none of his subscribers will read or be able to understand the studies, so the pdf probably serves its purpose. You should weep. Ji has also shown up on Gary Null’s show to complain about how a new, nefarious “science-based medicine” movement has become a grave threat to “alternative health.” Apparently he thinks that’s a bad thing. He and Null apparently also thinks that those who criticize them must be secretly funded by shadowy sources that they are unwilling to disclose. Yeah, we’ve dealt with her before, but Kelly Brogan is one of the main contributors to the site, which describes her as “boarded in Psychiatry/Psychosomatic Medicine/Reproductive Psychiatry and Integrative Holistic medicine, and practices Functional Medicine, a root-cause approach to illness as a manifestation of multiple-interrelated systems,” which means “deranged quack” in ordinary language. Brogan is a psychiatry denialist (“The science of psychiatry is [a] myth”), who has explicitly argued that it is important to not aid potential school shooters with sorely needed medication. 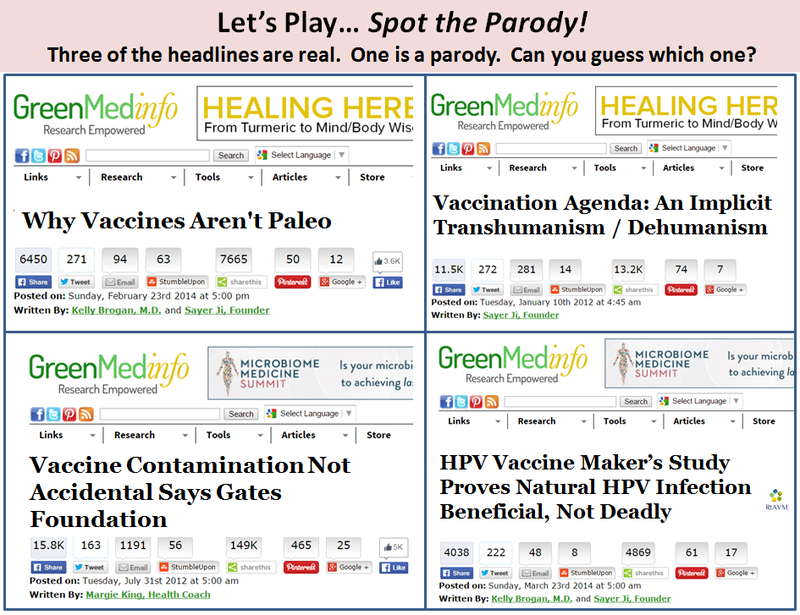 Diagnosis: One of the most influential infectious-disease advocates on the Internet, Ji is also one of the craziest. It’s comforting to imagine that most of those who visit his site are people fascinated by critical-thinking trainwrecks, but that’s probably not the case.